Actually it's my second save. In my first save which I started during beta, i had Brexit after the 1st season with 17 non foreign player limit. Got some great regen during that save. But with 19.2.3, i receive nothing and i can see all the good regens are being poached away by AI. Another season over, but there is nothing regarding Brexit. During my first season I got a mail that But i didn't receive any update regarding the brexit yet after that mail. Now I'm in the 2nd season of my save & the game date is 21st December, 2019. United kingdom is still part of the European Union. Is it okay or some kind of bug? It's been a great journey till now at League 1. We were unbeaten in the league for 20 matches then lost to Wycombe. After 22 games we are sitting comfortably at the top. Finished my first season with Crewe & I have to say, we did pretty well. Rakeem Harper (loan from West Brom) was the main man in the midfield. He ran whole thing for us. Bowery and Miller were lethal in-front of the goal. Bowery scored 27 goals with 4 assist while Miller chipped in with 21 goals and 3 assist. Managed to get Luis Fabiano during winter transfer. I was really surprised by the performance of Kirk. He scored 15 goals with 11 assist from left wing. Tried to use the good youth facilities of the club by promoting several players to main team and they replied with good performance. Managed to get Manchester United as senior affiliate, so there will be some good players on loan from them in the League 1. @Gungner I have used 2 skins mainly. The first one is the Andromeda and the second one is Flut Dark. We had a rough start to the season managing to win only 1 and draw 4 games in a row from the starting 7 games. Finally I think my squad starting to gel together. After 12 games we are sitting at 2nd place, just a point behind Morecambe. They are one of my favorite teams for their visions. Unfortunately in real life they are way off the course. 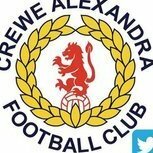 Full Name: Crewe Alexandra Football Club Nickname: The Railwaymen, The Alex Founded: 1877 Ground: Gresty Road Capacity: 10,153 League: League 2 Media Prediction: 23rd Fierce Rival: Port Vale Other Rivals: Stockport County, Stoke City, Shrewsbury, Preston, Wrexham Transfer Budget: £25,000 Wage Budget: £4,800 p/w Honors Second Division Play-off winners: 1997 League Two Play-off winners: 2012 Milk Cup Premier Section Winners: 1987, 1999 Junior Section Winners: 1990, 1998 Cheshire Senior Cup Winners: 1910, 1912, 1913, 1923, 2002, 2003 Welsh Cup Winners: 1936, 1937 Cheshire Premier Cup Winners: 2009, 2010 Football League Trophy Winner: 2013 Crewe Alexandra Football Club is a professional association football club based in the town of Crewe, Cheshire, England. Nicknamed The Railwaymen because of the town's links with the rail industry, they play at Gresty Road. The team compete in League Two, the fourth tier of the English football league system. The club was formed in 1877 and named after Princess Alexandra. It was a founding member of the Football League Second Division in 1892, but only lasted four years in the League. Since re-entering the competition in 1921, they have mostly remained in the lower divisions. Crewe's only major honours are the Football League Trophy which they won in 2013, and the Welsh Cup which they won in 1936 and 1937. They have also won several minor trophies, including the Cheshire Premier Cup and the Cheshire Senior Cup. In recent decades, the club has been associated with manager Dario Gradi whose 24-year tenure between 1983 and 2007 made him the longest-serving manager in English football; he had a further two-year spell in the role from 2009 to 2011. Gradi is known for focusing on youth development and promoting attractive, technical football. Notable players brought through the Crewe youth system include former internationals Rob Jones, Neil Lennon, Danny Murphy, Seth Johnson and Dean Ashton. Other notable players to have made their name at Crewe in that time include Geoff Thomas, David Platt and Robbie Savage. Early years (1877–1921) Crewe Alexandra were formed in 1877 as Crewe Football Club, separate from the successful Crewe Cricket Club, and named after Princess Alexandra. They were based at the Alexandra Recreation Ground and played their first match against North Staffs that same year, a match that ended 1–1. In 1883, Crewe Alexandra's first match in the FA Cup was against Scottish club Queen's Park of Glasgow, losing 10–0. In 1888, the club reached the FA Cup semi-finals, defeating Derby County and Middlesbrough en route, before going out to Preston North End. Crewe were founding members of the Football League Second Division in 1892, having previously been members of the Football Alliance, but lost their league status in 1896 after only four seasons. The club left the Alexandra Recreation Ground shortly before the end of the 1895–96 season, and after playing at a number of different venues, including in nearby Sandbach, they moved to the first Gresty Road ground in 1897. In 1906 the current Gresty Road ground was rebuilt to the west of the original site. 1921–1983 Crewe rejoined the Football League in 1921, during which season a record crowd of 15,102 packed into Gresty Road to watch Crewe entertain local rivals Stoke City, a game The Potters won 2–0. Crewe earned their first honours by winning the Welsh Cup in 1936 and 1937, before being barred from entering (not least since they were not in Wales). In 1936, Bert Swindells scored his 100th League goal for Crewe Alexandra. He went on to score 126 goals for the club, a record that still stands today. 1955 saw Crewe embark on a sequence where they did not win away from home for 56 matches. The dismal run ended with a 1–0 win at Southport. One of Crewe's most famous matches took place against Spurs in the FA Cup in 1960. A new record attendance of 20,000 saw lowly Crewe hold Spurs to a 2–2 draw on 30 January, with Bert Llewellyn and Merfyn Jones scoring for the Railwaymen. On 3 February, Tottenham convincingly won the replay 13–2, which remains a record defeat for the club. Llewellyn and Nev Coleman scored for Crewe. 1961 saw Crewe's most notable win in their history, Jimmy McGuigan's side defeated Chelsea 2–1 in the FA Cup at Stamford Bridge. That particular Chelsea side contained the former Crewe player Frank Blunstone as well as Jimmy Greaves, Peter Bonetti and Terry Venables. The Crewe goals were scored by Billy Stark and Barrie Wheatley. Spurs won by a more modest 5–1 in the Fourth Round. In 1963, Crewe gained promotion for the first time in their history with a 1–0 win over Exeter City. Frank Lord became the local hero, scoring the only goal in front a crowd of 9,807. Lord also holds the record for most hat-tricks for the club, eight during his time at Gresty Road. In the 1964–65 season, Terry Harkin scored a record 35 league goals for Crewe. 1977 saw Tommy Lowry play his record-breaking 475th and last game for the Railwaymen. 1979 would see manager Warwick Rimmer's most notable signing when Bruce Grobbelaar joined Crewe and played his first match against Wigan Athletic. During the season he scored from the penalty spot against York City and kept eight clean-sheets in his 24 matches played. In the same year the club went a record 15 matches without winning at Gresty Road. The period from the 1950s to the early 1980s was generally not a successful time for the club, and few would have argued with Michael Palin's comment, in the 1979 BBC Great Railway Journeys of the World documentary when, in a shot over Gresty Road filmed from the roof of the adjacent Rail House he described Crewe as "like those other railway towns, Swindon and Doncaster, possessed of a football team which is perpetually propping up the bottom of the Fourth Division". Indeed, between 1894 and 1982, Crewe finished in last place in the Football League eight times, more than any other league club. Gradi era (1983–2007) In June 1983, Crewe appointed Milan-born Dario Gradi as manager. At that time, Crewe had again just avoided being voted out of the Football League. Gradi quickly gained a reputation for developing young talent, allowing Steve Walters to become the youngest ever player to pull on a Crewe shirt: aged just 16 years and 119 days he played against Peterborough United on 7 May 1988. Gradi's efforts paid off in 1989 when Crewe won promotion to the Third Division. They went back down two years later, but were promoted again in 1994. In the same year, Neil Lennon became the first Crewe Alexandra player to gain an International cap for 60 years when he was selected to play for Northern Ireland against Mexico. Gradi then led his charges to Division One in 1997, after victory over Brentford in the Division Two play-off final, and kept his team there until 2002, despite a club income on which many more lowly clubs could not survive. Meanwhile, Gradi celebrated his 1,000th game in charge of Crewe on 20 November 2001 – an away fixture at Carrow Road, the home of Norwich City. After one season in the Division Two the club were promoted back to Division One at the end of the 2002–03 season, having finished in second place; the first time the club had finished in the top two of any division, and the club prepared for life in Division 1. Although managing to retain their place in the Division 1 in the 2003–04 season, at the start of the 2004–05 season they were rated one of the likeliest teams to be relegated from the newly renamed 'Championship'. In the event, they put in a good showing in the first half of the season; comfortably in the top half of the table, but after selling Dean Ashton to Norwich City for a record £3 million in the January 2005 transfer window, Crewe failed to win any more games until the final match of the season, when they defeated Coventry City 2–1 and narrowly escaped relegation on goal difference. The following year they were not so fortunate. Despite a good run towards the end of the 2005–06 season, they were relegated to League 1. Crewe were named the "Most Admired Club" in the 2006 Football League Awards, sponsored by The League Paper and FourFourTwo Magazine. 2007–2009 By the summer of 2007, Gradi was the longest-serving manager in English league football; he had completed 24 years in sole charge of the club, although assistant manager Neil Baker took temporary charge between 22 September and 17 October 2003 while Gradi underwent heart surgery (Crewe only managed one point while Baker was in charge). On 20 April 2007 Crewe Alexandra announced that, from 1 July 2007, Gradi would take up a new role as the club's Technical Director while gradually allowing newly appointed first-team coach Steve Holland control of the team. Holland's first season in this role, 2007–08, was a disappointment as the club narrowly avoided relegation after finishing 20th with 50 points. That summer Holland spent half a million pounds on new signings, including Calvin Zola, Anthony Elding and goalkeepers Steve Collis and Adam Legzdins, while striker Nicky Maynard joined Bristol City for a club record fee of £2.25 million. However, despite a positive pre-season, including a win over Premiership club Hull City, Crewe took only nine points from their first 16 games. Following pressure from fans, the board relieved Steve Holland of his duties as first team coach in November 2008, and re-appointed Gradi as caretaker manager. Gradi's first game back in charge was a 3–0 defeat at home to local rivals Stockport County. On 24 December 2008 the Icelandic former manager of local rivals Stoke City, Gudjon Thordarson, was appointed as Holland's successor, though Gradi remained in charge of the team for a further six days before resuming his Technical Director role. Thordarson's first game in charge was a 2–2 draw away at Millwall in the FA Cup 3rd round, but although Thordarson received the Manager of the Month award for February, the team suffered a poor end-of-season run, not winning for 10 games, and were relegated to League Two. On 18 June 2009, Steve Davis was appointed Assistant Manager to Gudjon Thordarson. Davis left his role as manager of Nantwich Town, where he spent five successful years, gaining two promotions. Davis replaced former assistant Neil Baker, who was moved to a new scouting role within the club. Return of Dario Gradi (2009–2011) On 2 October 2009, after nine months in charge, Thordarson was sacked after a run of poor results. Dario Gradi was reinstated as caretaker manager in time for the following day's match against Rotherham. Despite lingering close to the playoff places for the majority of the season, another run of poor form saw the club finish in 18th place, only five places above the relegation zone. 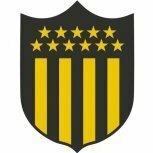 Gradi responded to this disappointment by refusing to take the team on a pre-season tour, stating that he "doesn't want to reward the players for what happened this season". The club finished 10th in League Two in their 2010–11 season and also ended up with the League 2 golden boot winner: Clayton Donaldson scored 29 goals, but moved to Brentford in July 2011. On 10 November 2011, the club announced that Dario Gradi had stepped down as manager and would return to his previous role as Director of Football focusing on youth development. Seasons 2011–2018 Steve Davis was appointed manager, and led the team to a 16-match unbeaten run in early 2012 up to 7th position, earning the club a play-off place. Crewe defeated Southend United in the semi-final with a 1–0 win at home in the first leg and a 2–2 draw at Roots Hall, extending the unbeaten run to a club-record 18 matches and securing a play-off final against Cheltenham Town at Wembley on 27 May 2012 which they won 2–0 and earned promotion. Before the 2012–13 season started, Crewe sold Nick Powell to Manchester United, and on transfer deadline day (31 August 2012) captain Ashley Westwood was sold to Aston Villa. However, with new players coming into the first team, Crewe won the Football League Trophy, beating Southend United 2–0 in the final at Wembley in April 2013. The team finished 13th in League One, ending the season by fielding a team whose starting 11 were all Crewe Academy graduates. On 22 February 2014, for 33 minutes of a match at Port Vale, two brothers played on opposite sides against each other – Crewe's Harry Davis and Joe Davis of Port Vale – while their father, Steve Davis, was manager of one of the teams (Crewe Alexandra). In March 2014, Crewe chairman John Bowler (elected chairman in 1987) was honoured with the Contribution to League Football Award at The Football League Awards 2014. Dario Gradi had earlier won the same award, in 2011. In December 2014, it was announced that Bowler had, like Gradi (in January 1998), been awarded an MBE for services to football. On 3 May 2014 Crewe ensured their place in League One with a 2–1 home victory over Preston North End ending the 2013–14 Season in 19th place four points above relegation. Although the season had not been successful for the first team, the Under-21s won the Professional Development League Two title with a 1–0 win over QPR on 30 April 2014; Max Clayton scored the goal. The under-18s were runners-up in their Development League. Crewe started the 2014–15 season poorly, accumulating just four points from the first 11 League games. Some sustained runs of better results pulled the club out of the relegation places, but, needing a home draw against Bradford City to secure safety, Crewe lost 0–1 and had to rely on favourable results elsewhere to ensure League One football for another year, finishing two points above the bottom four in 20th position. The following season started in a similar pattern, with the team winning just two of their first 15 league games, and crashing out of the FA Cup in the first round, defeated at Gresty Road by non-league Eastleigh, forcing Davis to defend his position as the 'right man' for the job. Crewe's relegation to League Two was confirmed following a 3–0 defeat at Port Vale on 9 April 2016, with five games remaining. After an initially promising start to the following season, Crewe's form slumped during the final months of 2016, and on 8 January 2017, Davis was sacked as Crewe manager, with former Crewe defender David Artell appointed his replacement. Under Artell, Crewe finished 17th, improving slightly to 15th position at the end of the 2017-18 season and, on 5 May 2018, again fielded a starting 11 who were all Crewe Academy graduates. Player development During Gradi's tenure the club gained a reputation for its youth policy, and earned official status as an FA Youth Academy. By concentrating on developing its own players the club remained profitable (a rarity in lower division football at the time) by selling them on after they have gained experience with Crewe. The Academy is known to stress technical excellence, which accords with Gradi's aim to have his sides play attractive, passing football. Players who passed through the ranks at Crewe include the England international players Geoff Thomas and David Platt, Welsh international Robbie Savage, and Northern Ireland internationals Neil Lennon and Steve Jones (Platt was the most successful, totalling more than £20 million in transfers and captaining the England team). All these were youngsters signed from other clubs, but Gradi also had considerable success in nurturing Crewe's own trainees – most notably full England internationals Rob Jones, Danny Murphy, Seth Johnson and Dean Ashton and Wales international David Vaughan. In 2004 the BBC's Football Focus asked fans of all professional football clubs in England and Scotland to vote for their cult hero. For Crewe, Seth Johnson won with 59% of the vote; Danny Murphy came second with 33%, and Craig Hignett third with 8%. Stadium Until 1896 Crewe played at the Alexandra Recreation Ground, located just to the north of the modern-day Gresty Road. After playing at a variety of venues in 1896 and 1897, including in nearby Sandbach, the club returned to the same area of Crewe to play at the first Gresty Road ground, located to the south-east of the original stadium. In 1906 the ground was demolished to make way for some new railway lines, and a new Gresty Road stadium was built on a site directly to the west. The ground is composed of four stands: · The Air Products Stand (formerly the Railtrack Stand, before a change in sponsors), built in 2000 at a cost of £5.2 million. It accommodates 6,809 spectators, together with the club's office accommodation. · The Absolute Recruitment Stand (formerly The Mark Price Stand, before a change in sponsors) also known as the Gresty Road End, accommodates 982 spectators and 4 disabled spectators. · The Blue Bell Family Stand, also known as the Railway End, accommodates 682 spectators. · The Whitby Morrison Ice Cream Van Stand, formerly the Pop Side, accommodates 1,680 away spectators. Supporters and Rivalries Crewe's fans were the first to sing the famous football song "Blue Moon" (with lyrics that do not quite match the Rodgers and Hart original). The song was a response to the gloomy days at Gresty Road during the mid-1900s, and reflects the colour of the Alex away strip, which only the more steadfast and determined fans would travel to see. The song has since been sung by fans of Manchester City, although their rendition was highlighting the colour of their strips as opposed to simply copying Crewe's supporters which has been a trending ideology amongst Crewe followers. Crewe's main rivals are fellow English Football League team Port Vale. The clubs have been involved in 73 games since 1892 (8 games against Burslem Port Vale); overall, Crewe have won 19 games, Port Vale have won 33, with the teams drawing 21 games. The rivalry (known by some as the A500 Derby) intensified after the millennium, when both clubs were in League One and Two. Close encounters between the two clubs since 2010 have resulted in violence and arrests. On 22 February 2014, Crewe beat Vale 3–1, at Vale Park and there was trouble before, during and after the game, with several arrests made, flares thrown on the pitch, and a scuffle between rival supporters in the executive boxes. The first meeting of the 2014–15 season saw Crewe beat Port Vale 2–1; again trouble flared with Cheshire Police confirming five arrests were made. The sides met again in January 2015, at Vale Park. Crewe won the game 1–0 to seal their first league double over Port Vale. Two arrests were made at the game, with minor disturbances between rival fans after the match. Six arrests were made at Gresty Road during the 22 September 2018 meeting between the two sides. Crewe also maintain smaller rivalries with Wrexham, Shrewsbury Town and Stoke City. There are also traditional local Cheshire derbies with Chester City and Stockport County. The Railwaymen's rivalry with Stockport intensified somewhat in 2009 when Stockport all but relegated Crewe from League One, after beating them 4–3 at Edgeley Park. Crewe then returned the favour in 2011, when they beat County 2–0 at Gresty Road on 30 April. This confirmed County's relegation to non-League football. With my Crewe save I managed to get into the Europa League on 4th season. I qualify for the knockout stage and in the first knockout stage I beat Krasondar at home. Without playing the 2nd leg of the tie I qualified for the 2nd Knockout stage. The Europa League Knockout Stage normally played over 2 leg. One at home and another at way. But in my case the winner team is chosen by just playing one match. Same thing happened again for the 2nd knockout stage. I managed to beat Lyon at 1st leg of the 2nd Knockout stage and in the next day I have been selected for Quarter Final without playing the 2nd leg. Please see the SS for better understanding.